Today's post is something a little different. As it's Mother's Day this Sunday (15th March) for the UK anyway, I figured I'd do a post featuring flower bouquets as that tends to be the general theme for Mother's Day and I know my mum loves flowers. 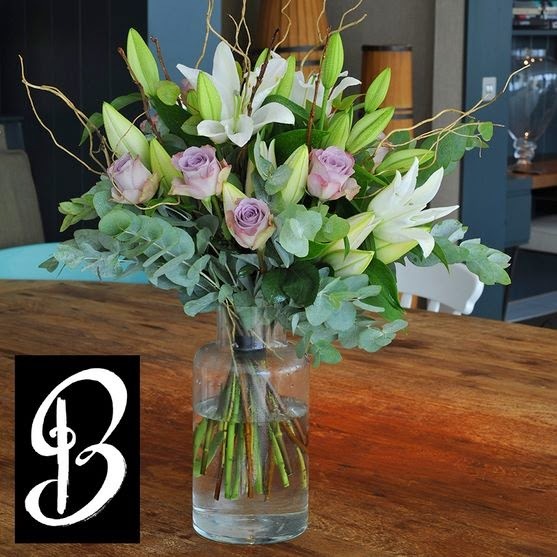 The website I will be featuring is called iFlorist and they specialise in a range of flowers for various occasions including Birthdays, Anniversaries, New Babies or any sort of celebration. They even do gift sets so you can buy your gifts all in one place. I'm going to be talking a little about my favourite Mother's Day flowers from their site. 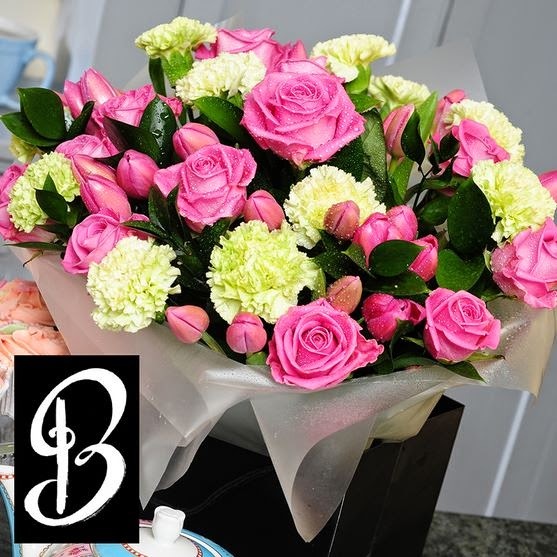 The first set is this gorgeous pink set called Cherub Pink which feature pink roses, green carnations and pink tulips as well as lush green foliage. I love this set because well they are pink and who doesn't love pink? I think from all the sets I have chosen for this post my mum would like these ones the most as she loves pink roses and it is a pretty big bunch. This next set is my favourite from the lot and this one is called Colour Burst. You can probably tell why it's my favourite as I love mixing bright colours so this set is perfect for me as the contrast of these colours look great together. 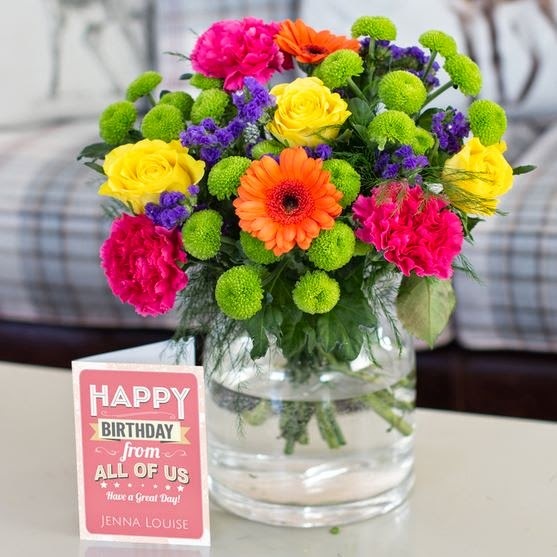 This set features roses, germini, carnations and chrysanthemums in a range of amazing colours including hot pink, lime green, cobalt blue, orange and yellow. If your mum likes brighter colours then this one is definitely the best choice for her. This next one is another pink set called Rose & Lily Bouquet which includes of course roses and stargazer lilies as well as eucalyptus foliage in these pretty pink and green tones. I absolutely love lillies especially these type as they look so pretty. 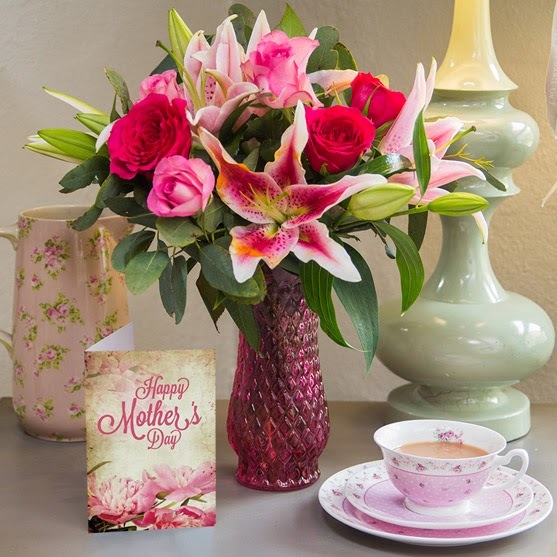 This set also includes a box of chocolates for a limited time so if your mum has a sweet tooth and loves lillies this one is a great choice. This fourth set is another rose one this time called Rose Garden. 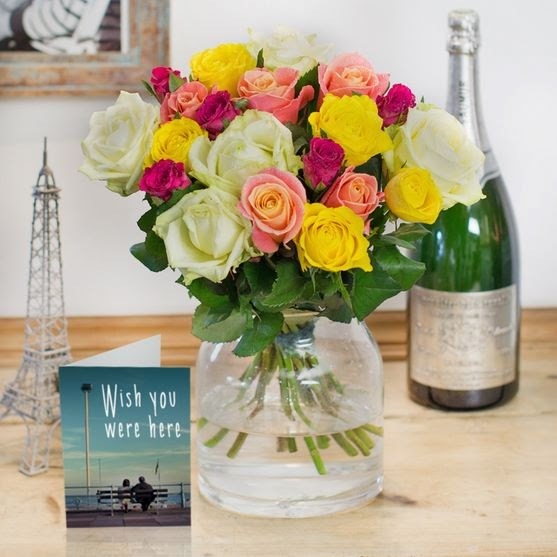 It includes all roses in a range of pretty summer colours including peach, cream, yellow, orange, cerise and more which will definitely make you forget about the cold weather outside right now. I really think the yellow and pink look great together. This next set is a little simpler now if you enjoy something a little more subdued. This set is called Soignee and features stargazer lillies, a load of eucalyptus foliage and lilac roses. This set also comes with spiral willow branches which make it a little more wild but keep it simple at the same time. 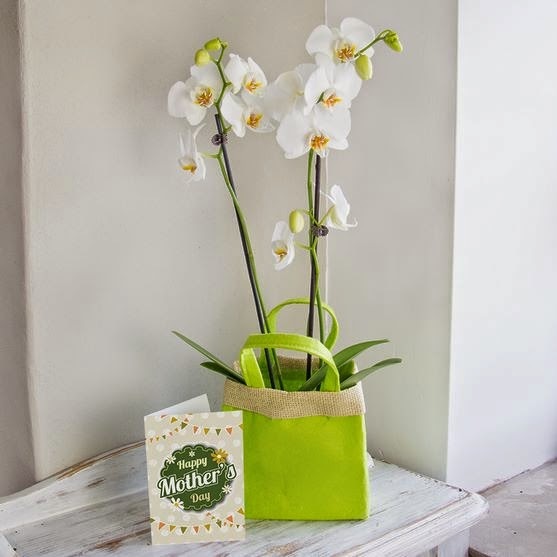 Last but not least we have the White Orchid Gift Bag which you guessed it features orchids. This is again a very simple flower and would look good in any setting. It comes in this green felt bag which really gives it a unique twist and makes is stand out. What is your favourite flower set from this list? Wow, they all look gorgeous!